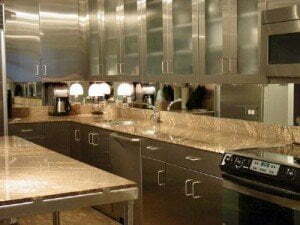 Since 1977, GlassWorks has been best known for supplying sophisticated glass backsplashes and even painted glass backsplashes to the citizens of the Greater Chicago Metropolitan Area. We are quite known not only as being a most recognized professional in glass products, but additionally we are referred to as the speediest expanding glass company within the area! 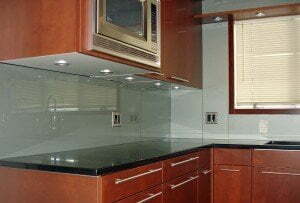 GlassWorks’ kitchen glass backsplashes give a sleek, lustrous overall look that is great for your one-of-a-kind kitchen! Along with really being very easy to take care of and keep thoroughly clean, a glass backsplash is a non-permeable exterior, and it will stay completely free of mold and harmful bacteria. Compared to the traditional backsplashes that may have grout traces that may become tarnished through time, our glass back splash will last a very long time and will continue looking just as terrific as it did when it was at first installed. Recently, lots of clients residing in Lake Forest have already been making the change from their out of date backsplashes to GlassWorks’ state-of-the-art kitchen glass backsplash. Lake Forest, Illinois has just about 19,400 individuals living there and is located in Lake County. Home of GlassWorks is found within Glenview and is situated a roughly 18.2 miles southeast of Lake Forest. Our customers in Lake Forest consider GlassWorks as a name they can have confidence in. In addition to our loyal Lake Forest clients, we are best known to have more than 4,000 satisfied customers annually! For around forty years, we have been the destination for Lake Forest residents when they are hunting for painted glass backsplashes and glass backsplashes. Lake Forest’s households prefer GlassWorks over any of its competitors. We have a totally devoted crew of professionals from sales personnel to project management, manufacturers and installers who are competent at providing Lake Forest’s customers the glass backsplashes they really desire at a price they can afford. Not only do we endeavor to gratify our Lake Forest customers’ high goals, but we strive to do every little thing we can to exceed them. It is perfectly logical that a number of examples of our most extraordinary kitchen backsplash work can be found in a number of Lake Forest’s most attractive homes. GlassWorks is known as an award-winner in the customer total satisfaction category. We are also identified as an industry leader in progressive, wonderful, top-quality residential glass products. What’s more, GlassWorks will offer a one-year warranty on each of its glass products and installations, together with any separate manufacturers’ warranties. Because of every one of these remarkable awards, why would you really ever contemplate going anywhere else for your glass backsplashes or even painted glass backsplashes? Regardless of what ever your plans may be, the inclusion of a painted glass backsplash or glass backsplash, it can be probable to bring you countless years of satisfaction. Actually, GlassWorks can take care of every one of your glass back splash projects both expeditiously and at a low price! To get more information about glass backsplashes, call GlassWorks, today, at (630) 355-6363 (West/South), (312) 337-2300 (Chicago), (847) 729-5580 (North) or (866) 452-7925 (Nationwide). We are looking forward to the chance to help you.